This is an odd strip of land and it makes you wonder why it was created and who owns it. 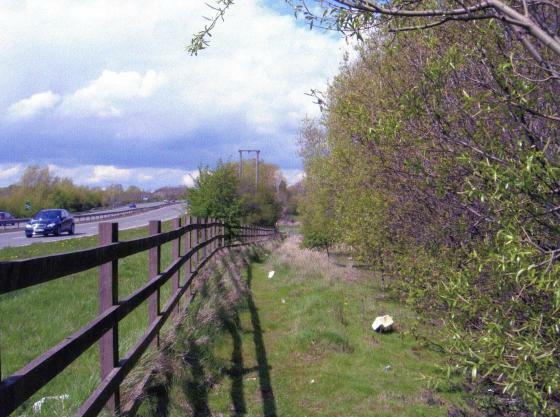 Before the by-pass it was part of a field bordering the old A6 Site 290 First Home Field, which ran down to the River Soar and included Site 295 Berry. 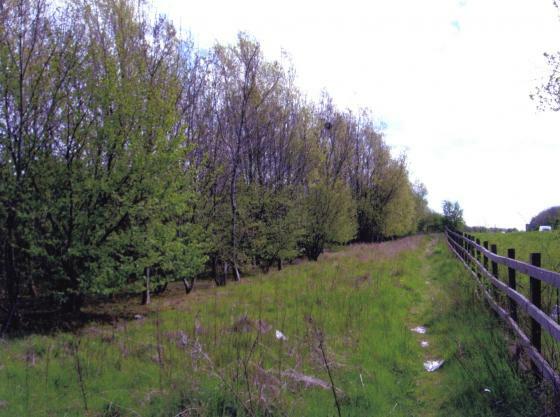 This strip is now simply a Public Footpath along the edge of the by-pass with a planting of trees bordering Site 295 Berry. 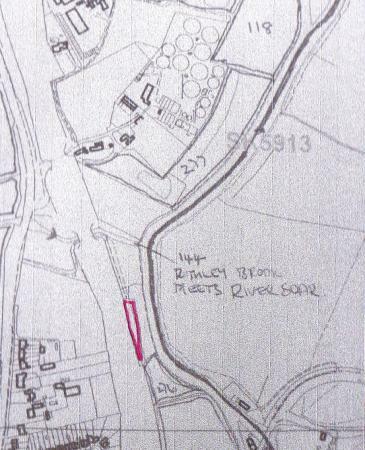 This footpath runs from Cossington Lane to Sileby Mill. There is nothing that you can really say about this strip except that it is noisy from the by-pass traffic and litter-strewn. The only thing in its favour is that it cannot be maintained so should create a wildlife habitat for creatures that ignore noise.